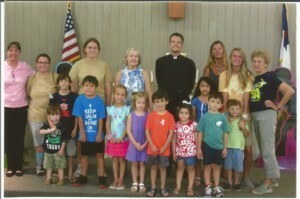 A week in July found St. Paul’s in Foley, AL, with lots of activity as children met with staff from Lutheran Camp Dixie and members of St. Paul’s for a very successful vacation Bible school. 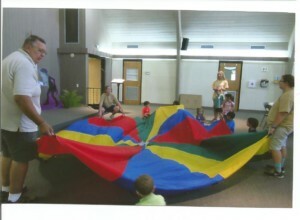 There was much noise as they sang and played games, as well as learning about God’s Word. The quilters were busy with their hands and sewing machines. 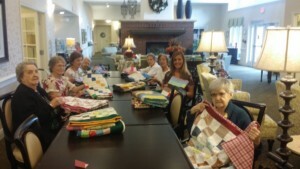 They were able to deliver eight baby quilts to Mary’s Shelter in Elberta, AL, which is a home for homeless adult pregnant women who are experiencing unwanted or unplanned pregnancy. 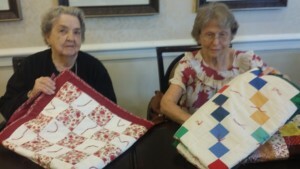 The quilters also delivered fifteen quilts to Country Living Home in Foley, which is an assisted living home for adults that are no longer able to live in their own home. It was truly a joy to see all of the smiles on their faces as they received a gift of love.